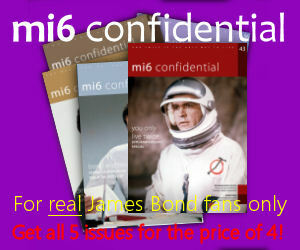 This book is a must have for anyone who is serious about the James Bond novels. I loved the first edition, but was unhappy with the translations. John Griswold read the review and contacted me, suggesting that I help him with the translations for this edition. Of course I jumped at the chance and so if you don’t like the translations in this new edition of the book then blame me. The first thing that will strike you is the cover of the book – whereas before it was plain black, it is now grey with illustrations. And the illustrations continue inside, where Griswold commissioned an artist to provide drawings of the villains as well as providing some himself – he has worked as an artist himself – a particular favourite is Francisco Scaramanga, The Man With The Golden Gun. The problem with reviewing a book of this type is that it was never intended to be read from cover to cover, rather to be dipped into as required to clarify the original texts. 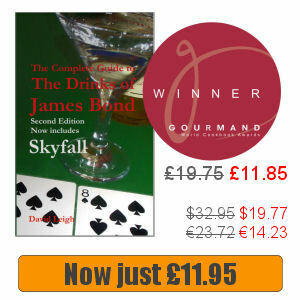 It is a weighty book, numbering 450 pages and in addition to providing information such as what the references to the girl in the balloon bet signify, provides the reader with conversions to the current buying power of monetary values, includes a blow by blow account of the famous golf match between James Bond and Goldfinger and analyses the entire bridge game in Moonraker. Although they don’t provide riveting reading in themselves, they do at least allow the reader to find out exactly what was going on at any point in these stories. The book has hundreds of references, obscure and not so, which makes it an essential addition to the library anyone who considers themselves to serious about the works of Ian Fleming. One area of the book that is somewhat controversial are the chronologies. As Fleming introduced a number of inconsistencies throughout the series, Griswold attempted to realign the stories, claiming that the series should be seen as a whole. Make no mistake, Annotations and Chronologies for Ian Fleming’s Bond Stories is one of the ultimate guides to the James Bond novels.